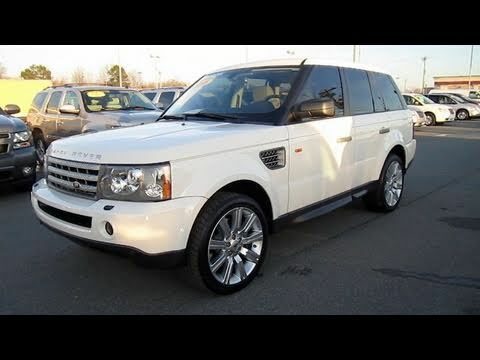 The 2008 Land Rover Range Rover Sport offers the interior panache worthy of the Range Rover name, yet packages it in a vehicle that exudes a much more aggressive nature. If the price tag doesn't discourage you from taking your prized possession off-road, in the dirt the Range Rover Sport can make the novice feel like a pro, and make living with the experienced off-roader simply unbearable. My 2008 Range Rover Sport has over a hundred fifty thousand miles on it. I have owned it for about 4 years now. The only mechanical problem I've had with it was the air compressor for the vehicle suspension need to be replaced. It drives well and it has lasted a long time. It is durable and tough. It is a big durable vehicle I feel safe driving. I am happy to put my kids in it every day. The vehicle is older so I am ready to have something with updates technology but the car overall is great.